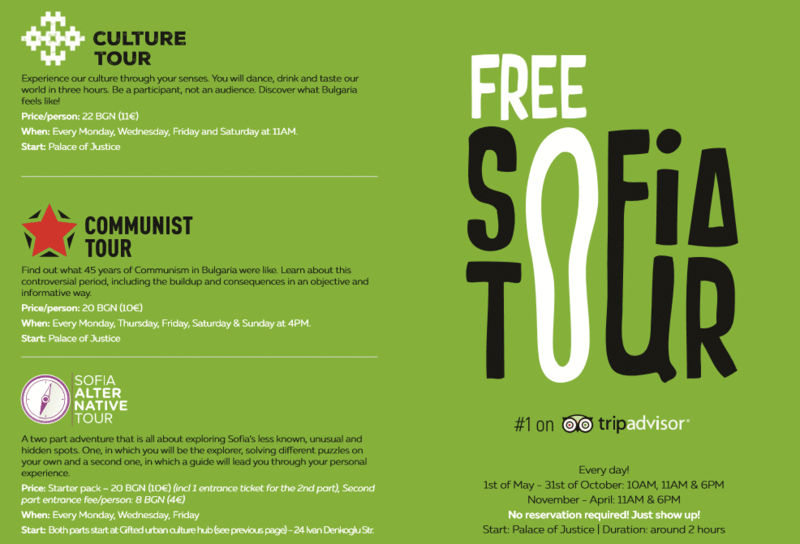 Spread the word about Free Sofia Tour - Let more people know! If you want, you can link to our website using our logo. Click on the image to get a bigger size. If you need a high-quality file for printing, just send us an email. Thank you very much in advance! Please use this text with the link: The free English-language sightseeing walking tour of Bulgaria’s capital, organized by a non-profit organization. Here are printable PDF files of our A6 size flyers. You can also contact us by email and we will provide you with some copies of the flyers and a convenient holder with the Free Sofia Tour brand to display them in.